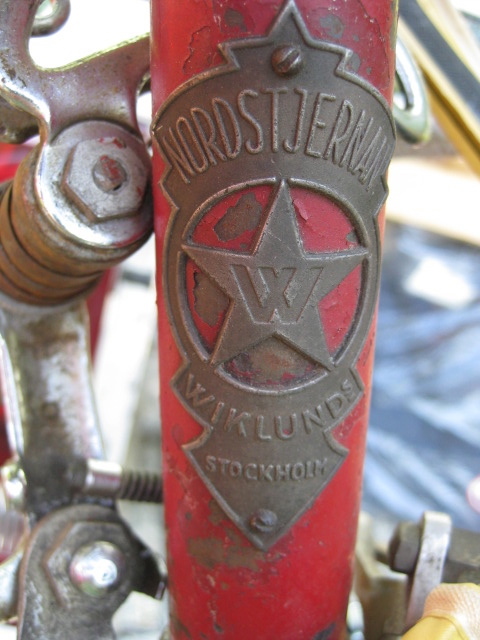 This Nordstjernan Wiklund bicycle made in Stockholm Sweden was seen at a local bicycle swap meet a year or two ago. I had never seen the brand before and it had some interesting features, but also some signs of a more utilitarian bicycle, rather than the usual vintage lightweight that I like. 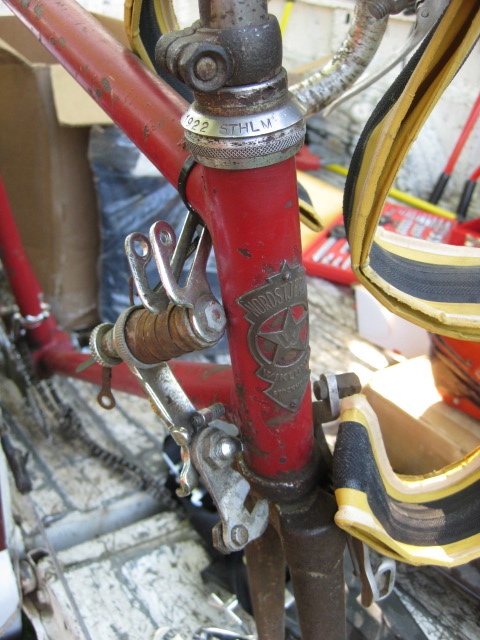 It was equipped with Cyclo Benelux derailleurs but with an unusual one piece bottom bracket/crankset found on lower end American bikes. 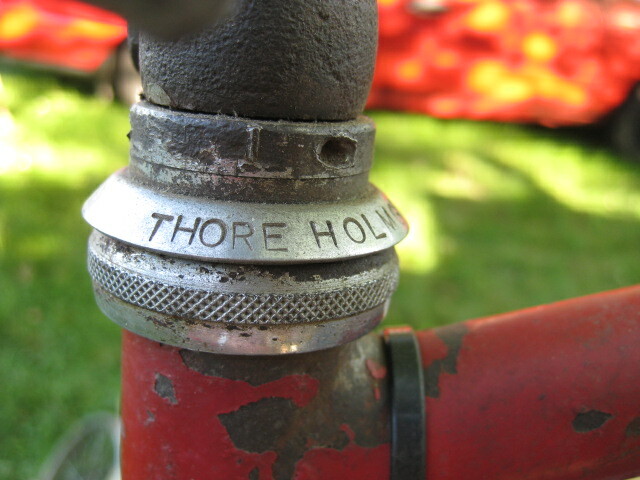 The bottom bracket was a smaller diameter than the American Ashtabula design and did not use a locknut in conjunction with an adjustable race on the non-driveside. It also appeared to use a headclip design, like that found on British lightweights from the 1930s-1950s. 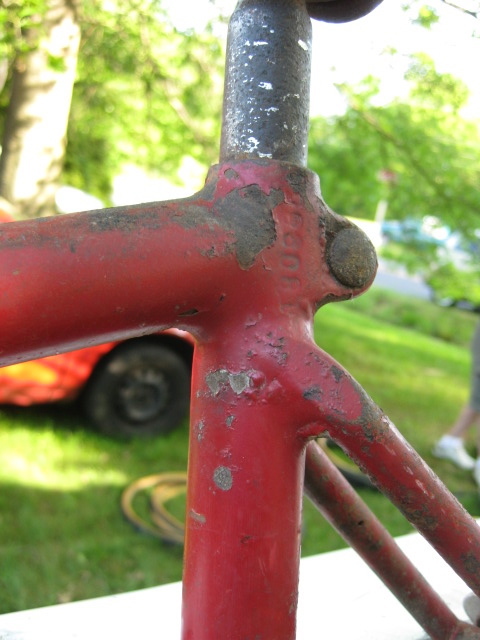 The frame was filet brazed or welded, lugless, and the joinery looked cumbersome, a production bike. 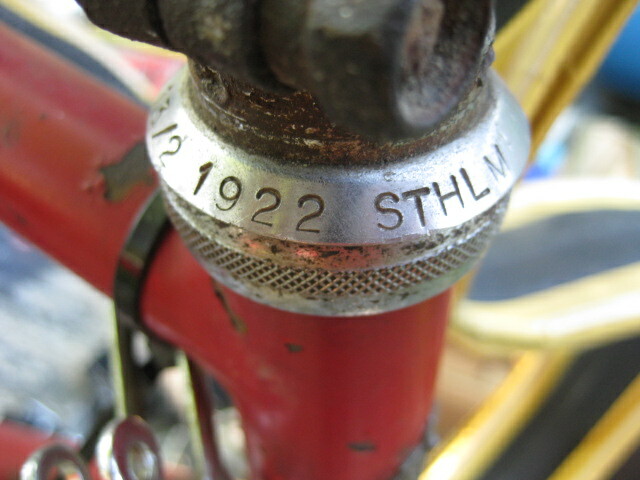 This aluminum “collar” appears to be an owner’s ID, maybe Sweden followed a similar system as France in that the bikes had to have the owner’s name on them? 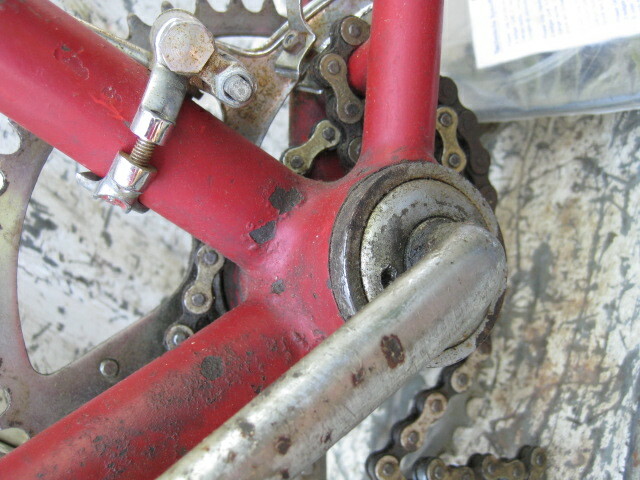 Unique one piece bottom bracket crank. Marcel Kint was also a Belgian rider and former World Champion cyclist. Nice bike. Is it complete and road worthy? Hard to tell from the photos. 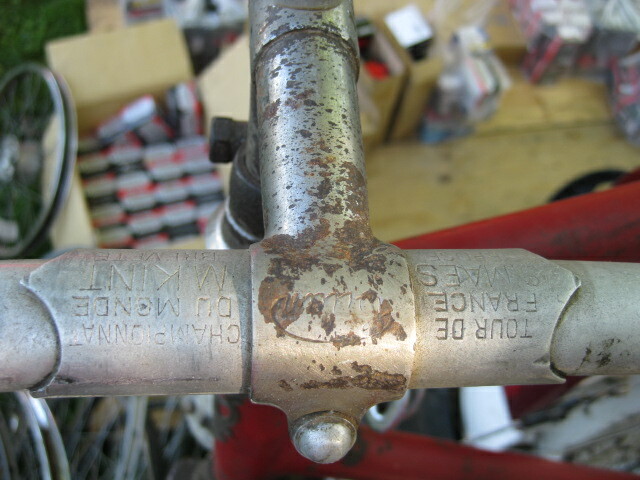 That's a Fauber bottom bracket. It is similar to an American one piece crank, but not identical.